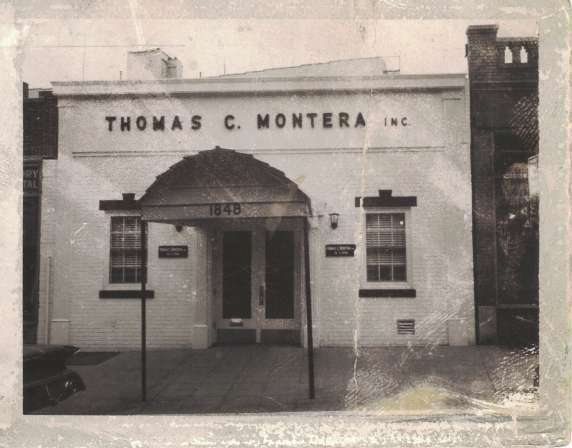 Thomas C. Montera, Inc. was established in 1929 by Thomas C. Montera. The business was located in East Harlem at 2164 2nd Ave New York, N.Y. 10029. In 1956 after years of hard work and service to his community, Thomas, unfortunately, passed away at the young age of 53. It was during this time that his only son, Peter T. Montera, took over the business. After learning the industry and maturing, Peter made the decision to move the operation to the Bronx in June of 1962. The funeral home has been at 1848 Westchester Avenue since then and has been part of this community for more than 53 years. Peter built a strong relationship of respect, trust and loyalty with all the families he has helped in his years of service. Learning from a proven legacy of pride and dignity, Peter passed the business onto his son, Thomas C. Montera, who operates it today. Living and working in this community his entire life, Thomas is known and loved throughout the Bronx. Growing a business to one of value and quality recognizable throughout the industry has been a lifetime of work from these men. Continuing in tradition, Thomas’s son, Thomas C. Montera Jr., also works with his father and grandfather. Thomas Jr. hopes to build upon the work of his family before him and pass it to his family after him. For so many years, growing into a known and respected funeral home has been attributed not only by our clientele who values what we do, but also by our fellow funeral homes. Like every business, ours is one where industry professionals know of each other and build relationships. Our business is unique in that our services are often needed way beyond our local community and often reach into other communities as well as foreign countries. Being respected and valued is essential to make these connections and build lasting relationships among industry professionals. Working with other firms when an out of town scenario occurs is essential to helping the family fulfill their wishes. Priding ourselves on our work and our word is what allows us to help families when out of town losses occur. We have the experience and a network of trusted professionals to help in these circumstances for our families as well as reciprocate to our fellow professionals when theyare in need. In order to operate successfully, it is essential to gain the trust of our families. Our reputation and our character allow us to service our families to the best of our ability to where they are able to feel comfortable and know that we have their best interests at heart. In a time of grief, trusting the funeral home can help alleviate much of the stress throughout the funeral process. We hope to lessen the turmoil caused by the passing of a loved one by providing our families with guidance in an environment that is supportive and comforting. Being a pivotal part of a community requires building a strong relationship through hard work and commitment. Remaining loyal to principals and morals is what allows a business the opportunity to truly be more to a community than just a business. Having a long proven history of service and righteousness within our community and among all we meet is what separates us from the rest. The consistency and the assurance that we will be there for our families is what makes us truly blessed to be a part of their lives.